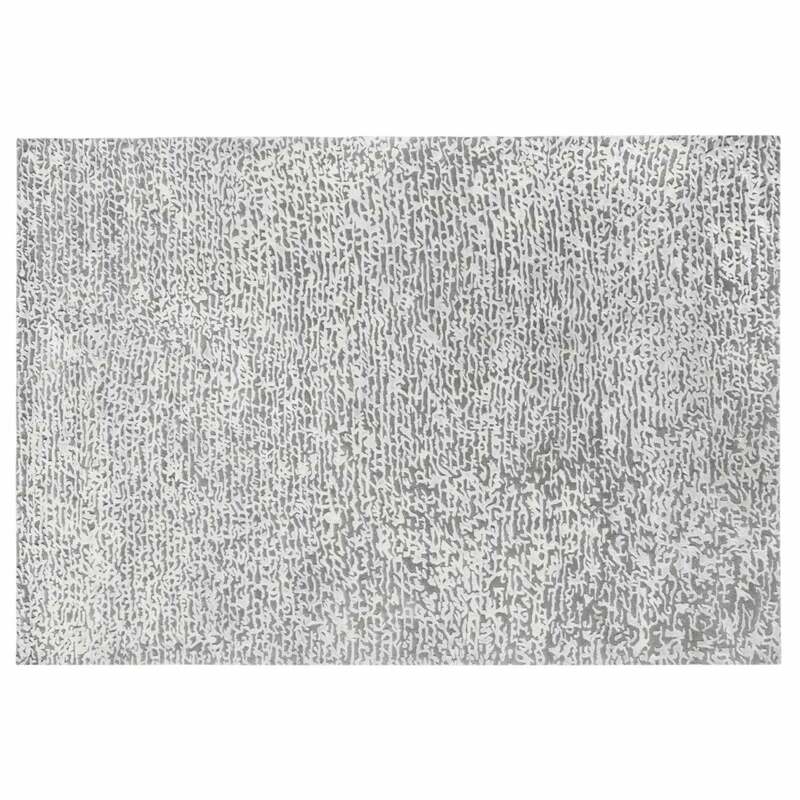 A handknotted wool and viscose rug with imaginary writing in white relief on a neutral ground. Suitable for both residential or contract projects. Customized sizes available up to 300cm width.